When the color experts at Pantone predicted emerald would be popular in fashion for spring 2013, the prognostication spilled over into jewelry. Emeralds experienced a surge in popularity from the press surrounding the trend forecast. With that phenomenon in mind, get ready to see lots of lapis jewelry. 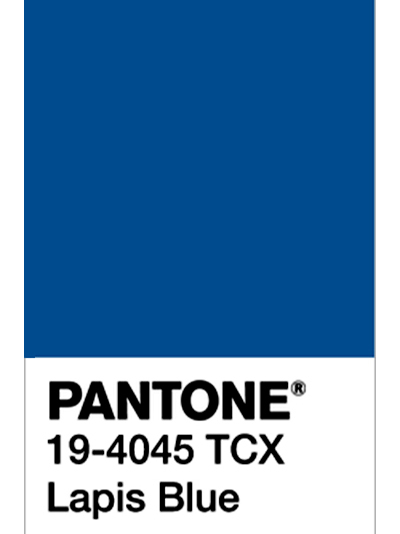 It’s one of the colors on Pantone’s list of popular shades for spring 2017. If you are in a see-now, buy now kind of mood, like so many in the fashion flock, the deep blue gem can already be found in a variety of hot designer jewelry collections. Jennifer Meyer’s signature heart ring is lapis lazuli. Jacquie Aiche uses it on a regular basis in rings and double horn pendants. Brazilian sensation Silvia Furmanovich, has a dazzling pair of earrings featuring lapis lazuli accented by diamonds and Tanzanite. It’s easy to understand why designers love lapis in the casual twenty-first century. The opaque color has the same casual cool of seasonless denim. Yet, it’s history goes back to the ancient world. Egyptians wore lapis and so did the Greeks and Etruscans. Any time the eternal styles of these classic cultures have been revived lapis also made a comeback. During the nineteenth century when jewelry inspired by Etruscan styles were in vogue lapis was used in the designs. A perfect example is the gold and lapis selection of jewelry from Eleuteri in the photo above. 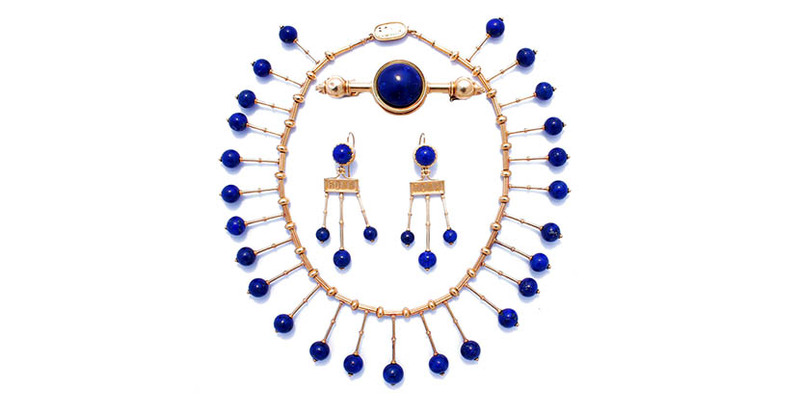 Art deco jewelry also featured loads of lapis reflecting the Egyptian styles that inspired so much of the 1920s mode. The 1970s was another glorious period for lapis. Designers in the disco days were looking back at the art deco period and ancient historical styles. They were also creating fresh looks, made to jibe with—you guessed it—the new fashion for blue jeans. Cleary, the popularity of denim today played a role in Pantone picking lapis for one of the fashion colors for spring 2017. What the gem has that fabric does not is little specs of gold. The sparkle is actually particles of pyrite. To me they are a like jewelry magic fairy dust and one of the qualities that surely added to the popularity of lapis over the centuries.